16 momme silk pillow case. 19 momme silk pillow case. 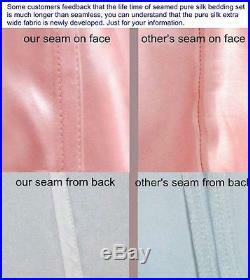 22 momme silk pillow case. 30 momme silk pillow case. 40 momme silk pillow case. Silk Bedding & Set Seamless. 19 momme solid color silk bedding. 22 momme solid color silk bedding. 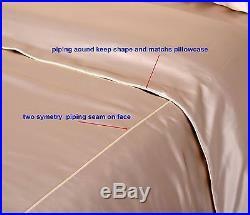 Silk Bed Linen Set Seamed. 22 momme seamed silk bedding. 30 momme seamed silk bedding. 40 momme seamed silk bedding. 100% Silk Duvets & Blankets. Men's 100% Silk Clothing. Mens silk shorts & pants. 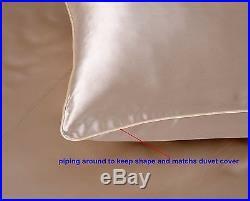 16 Momme 100% Mulberry Silk Duvet cover fitted flat sheet pillow case. 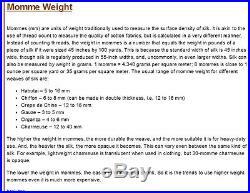 Sisters silk bed linens size chart (unit: 1=2.54cm). "Set Includes" drop down list. 1pc Pillow case 20"x26" single Size 50x66cm. 1pc Pillow case 20"x30" single Size 50x75cm. 1pc Pillow case 20"x36" single Size 50x90cm. Other countries please contact with us. 3pcs Duvet Cover Pillow case Set. 1 duvet cover 137x200cm+2 pillow case 50x75cm. 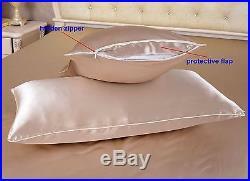 3pcs Fitted Sheet Pillow case Set. 1 fitted sheet 90x191x24cm+2 pillow case 50x75cm. 3pcs Flat Sheet Pillow case Set. 1 flat sheet 170x260cm +2 pillow case 50x75cm. 4pcs Sheets Pillow case Set. 1 fitted sheet 90x191x24cm+1 flat sheet 170x260cm +2 pillow case 50x75cm. 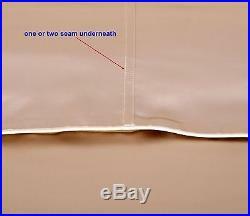 4pcs Duvet Cover Fitted Sheet Pillow case Set. 1 duvet cover 137x200cm +1 fitted sheet 90x191x24cm+2 pillow case 50x75cm. 4pcs Duvet Cover Flat Sheet Pillow case Set. 1 duvet cover 137x200cm +1 flat sheet 170x260cm +2 pillow case 50x75cm. 1 duvet cover 200x200cm+2 pillow case 50x75cm. 1 fitted sheet 120x191x35cm +2 pillow case 50x75cm. 1 flat sheet 220x260cm +2 pillow case 50x75cm. 1 fitted sheet 120x191x35cm +1 flat sheet 220x260cm+2 pillow case 50x75cm. 1 duvet cover 200x200cm +1 fitted sheet 120x191x35cm +2 pillow case 50x75cm. 1 duvet cover 200x200cm +1 flat sheet 220x260cm+2 pillow case 50x75cm. 1 fitted sheet 137x193x35cm +2 pillow case 50x75cm. 1 fitted sheet 137x193x35cm +1 flat sheet 220x260cm+2 pillow case 50x75cm. 1 duvet cover 200x200cm +1 fitted sheet 137x193x35cm +2 pillow case 50x75cm. 1 duvet cover 230x220cm+2 pillow case 50x75cm. 1 fitted sheet 152x203x35cm +2 pillow case 50x75cm. 1 flat sheet 245x260cm +2 pillow case 50x75cm. 1 fitted sheet 152x203x35cm +1 flat sheet 245x260cm +2 pillow case 50x75cm. 1 duvet cover 230x220cm +1 fitted sheet 152x203x35cm +2 pillow case 50x75cm. 1 duvet cover 230x220cm +1 flat sheet 245x260cm +2 pillow case 50x75cm. 1 duvet cover 260x220cm+2 pillow case 50x75cm. 1 fitted sheet 183x200x35cm +2 pillow case 50x75cm. 1 flat sheet 275x260cm +2 pillow case 50x75cm. 1 fitted sheet 183x200x35cm +1 flat sheet 275x260cm +2 pillow case 50x75cm. 1 duvet cover 260x220cm +1 fitted sheet 183x200x35cm +2 pillow case 50x75cm. 1 duvet cover 260x220cm +1 flat sheet 275x260cm +2 pillow case 50x75cm. 16 momme 100% mulberry silk charmeuse. Brand new in package with tags. Please be noted that there maybe slightly colour difference due to the sreen set and light different. Piping around to keep shape, with ties on four corners to keep the duvet. With plastic on four corners. With about 10cm hems on the head side. Without borders housewife style, side close with hidden zipper. We always strive for high quality products and excellent customer service, your easy shopping here and satisfaction are the most important thing to us. It has anti-mite, anti-bacteria and anti-allergy properties. Silk sericin can not only makes human skin smooth but also prevents the growth of mites and mold, making it the best choice for skin allergies. It has moisture resistance properties. Silk contains protein called pro-side chains of amino acids, the material can absorb moisture in the air and to be eliminated. 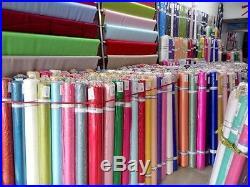 To be maintained silk quilts dry and comfortable, particularly curative for rheumatism patients. It has long fiber characteristics. 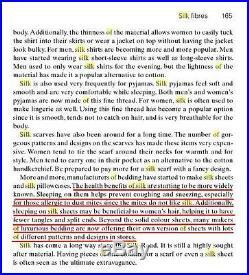 Silk is long fiber, so it is very difficult to generate dust and have on human respiratory health role, particularly curative for use in patients with respiratory diseases. Detail please refer [about silk] below. How to maintain the silk items? Please wash with cold water no more than 30°C. Please don't wash with alkaline detergent, you can use neutral detergent or special silk detergent. Please don't air under strong sun shine. 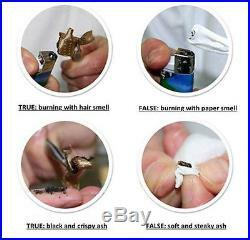 Please iron under 200°C and always move the hot iron. Please don't dry clean. The item "16 Momme 100% Pure Silk Duvet Cover Sheet Pillow Case Seamed Beige All Size" is in sale since Monday, January 30, 2017. This item is in the category "Home, Furniture & DIY\Bedding\Bed Linens & Sets\Bedding Sets & Duvet Covers".